Mike Lane is a partner in the firm and focuses his practice in the area of construction law. 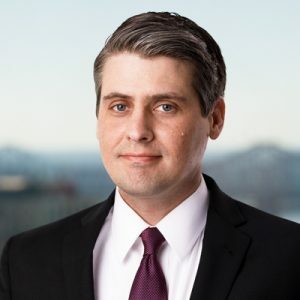 His depth of experience in construction, insurance, and commercial disputes allows him to advise and represent clients on a wide range of legal matters. He primarily handles construction and suretyship disputes, representing owners, developers, sureties, general contractors, subcontractors, and suppliers. Mike has considerable experience representing domestic and international insurers in coverage and defense of property damage and personal injury claims. His practice also includes commercial litigation, tort and casualty, product liability, and employment law. In the construction arena, he advises clients long before a project begins until well after the work is complete. On the front end, his experience includes legal and regulatory compliance, bid disputes, and contract negotiation. Mike assists clients with pressing issues that arise during the project, such as payment disputes, workmanship issues, and unforeseen delays. If a dispute cannot be resolved amicably, he is experienced with litigation, mediation, and arbitration, including trials in state and federal court and arbitration proceedings with the American Arbitration Association. Mike’s primary goal is to help his clients avoid costly litigation or arbitration. With his understanding of the complexities of construction, insurance, and commercial issues, he strives to provide practical advice and top-notch legal representation to his clients. In addition to the below articles, Mike serves as a contributing editor to Under Construction and contributes periodically to The Dispute Resolver with the American Bar Association Forum on Construction Law. Mike assists clients on numerous types of projects, including airports, hospitals, military bases, chemical plants, shipyards, highways and bridges, office towers, hotels, condominiums, apartment complexes, public schools, restaurants, grocery stores, and museums. Currently representing three major subcontractors in a consolidated litigation involving the University Medical Center in New Orleans with claims totaling more than $40 million. Currently representing contractor on roadway construction projects involving claims for extra compensation of nearly $5 million due to unsuitable and unstable soil conditions. Obtained summary judgment dismissing several hundred residential property damage claims against a general contractor that performed extensive drainage work in the New Orleans uptown area. Defended a commercial property insurer in litigation involving a condominium tower with property damage claims in excess of $25 million. Represented a general contractor on several apartment complex projects in Georgia and Florida in disputes with owners over payment and scope of work. Successfully resolved claim of more than $10 million on behalf of insulations contractor for extra work performed in industrial facility in Texas. Represented mechanical subcontractor in contract disputes with general contractor and federal government related to renovations of Naval and Air Force stations in the Southeast U.S. Defended general contractor in several trials in bankruptcy court against claims by government agencies seeking recovery of damages due to suspension of work. Pursued claims on behalf of an owner of a ship-building facility in southern Louisiana against general contractor for damages arising from differential settlement. Granted arbitration award in favor of electrical subcontractor against general contractor related to work on a public school in New Orleans. Successfully defended a movie theater against claims arising from property damage to a nearby restaurant caused by extensive water intrusion. Obtained dismissal of claims against a pile-driving subcontractor related to an office building and health club project. Successfully mediated dispute on behalf of a developer of a nursing home in Baton Rouge for claims of defective design against an architect. Represented a grocery store chain in dispute involving condition of facilities sold in asset purchase agreement.